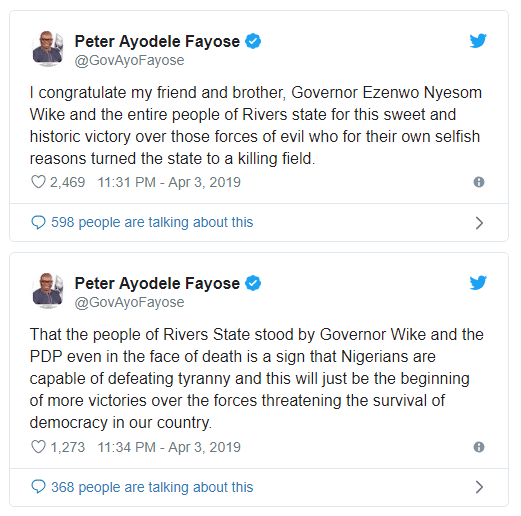 Ayo Fayose, the former Governor of Ekiti State, has taken to Twitter to hail the people of Rivers State for standing solidly behind Governor Nyesom Wike and the PDP while elections were been held in the state. 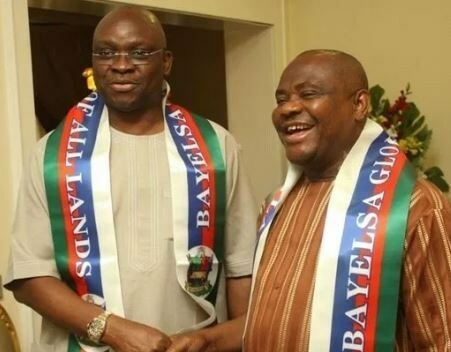 Fayose, while reacting to Wike’s re-election, described the governor’s victory as sweet and historic. He celebrated the people of Rivers state for standing behind the governor even in the face of death.